CRE Tech® Inc. Blog: 1031 Calculations are a Cinch with TheAnalyst® PRO! 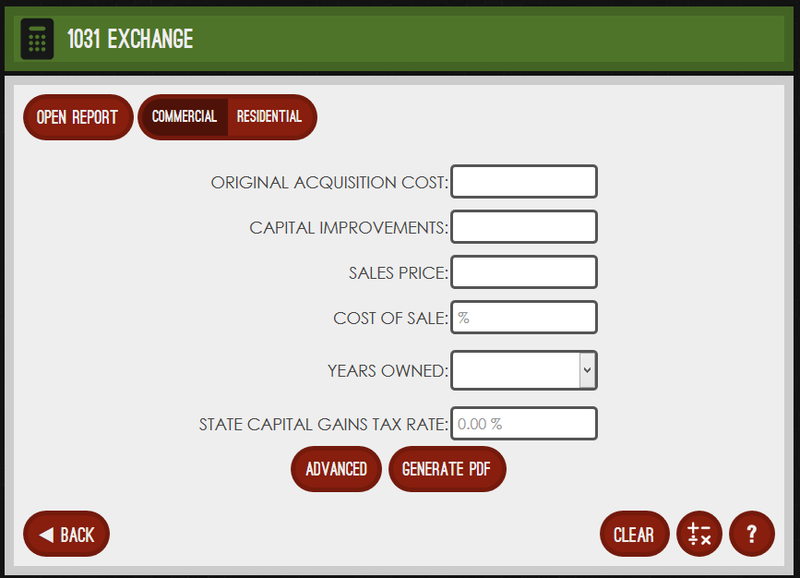 The 1031 Exchange Calculator is designed for either commercial or residential properties. By simply plugging in your inputs, you can quickly identify any taxes deferred by 1031 exchange for your client. 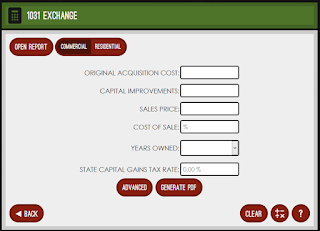 The calculator’s advanced settings allow you to account for Federal Capital Gains Tax Rate, Cost Recover Recapture Rate and Percent Improvements. The calculator prepares a detailed PDF report that you can print, email or text to a client on the spot.